Alaska cruises have surged in popularity in recent years, and demand to see America’s last unspoiled frontier continues to grow. Enjoy Alaska’s picturesque surrounding as you admire snowcapped peaks, mighty glaciers, steep fjords and such wildlife as whales, black bears, brown bears, bald eagles, sea otters and seals. Your journey will take you to historic gold rush towns and quaint fishing villages where you’ll enjoy plenty of outdoor activities and immerse yourself in Alaska’s unique culture. Alaska cruises are generally divided into three types, Inside Passage cruises, Gulf of Alaska cruises and small ship expedition-style cruises. The Inside Passage has been the traditional way to cruise Alaska, with most ships sailing round-trip from Vancouver or Seattle, through glacier country as far north as Skagway or Juneau. Gulf of Alaska cruises cover more territory as they travel from Vancouver through the Inside Passage and up to Seward/Anchorage (or the reverse). Small expedition-style ships explore isolated ports and remote waterways inaccessible to large ships, and enable you to see glaciers and wildlife up close. The cruising season in Alaska begins in May and lasts through September, and cruises usually last between seven and 12 days. 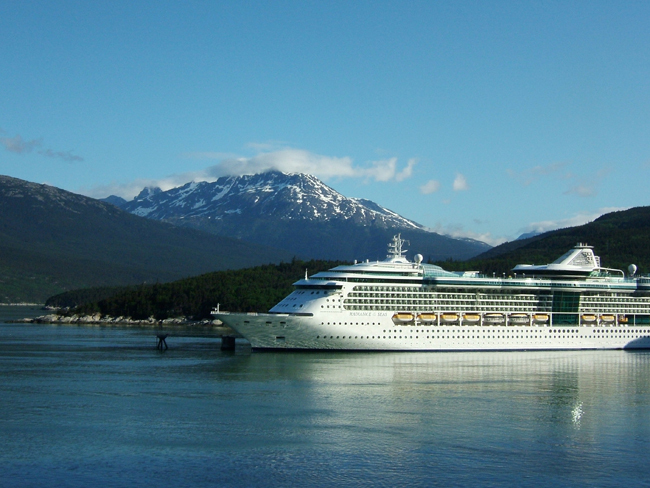 Some cruise lines also offer cruise tours, a combination of an Alaskan cruise and a land tour. On the land tour portion, you will journey inland by train or motorcoach and visit scenic destinations like Denali National Park, the Yukon Territory or the Canadian Rockies. We offer huge discounts on all of these vacations, on every cruise line in Alaska.